After Matt’s tribute to the now defunct Phoenix Games, I thought they might be a good candidate for our regular Street Viewtiful feature, where we visit video game ‘landmarks’ on Google Street View. If only tracking down an address for Phoenix Games was that simple. Where to start? The company’s website – phoenixgamesgroup.com – has been down for a while. But another – phoenixgamesltd.com – has only very recently been taken offline, and the contact page is still in Google’s cache. But that gives a residential address in east London. Not interesting. There’s no helpful WHOIS record for phoenixgamesgroup.com, but phoenixgamesltd.com has a more illuminating WHOIS record. The registrant is one Paul Share, and the address appears to be a serviced apartment block in Bangkok. Not what I was expecting. “I know the owner of this company (Paul Share) and he’s basically a genius. If we consult the Internet Archive Wayback Machine, then phoenixgamesgroup.com from 2008 does indeed give Paul Share as the CEO and President of Phoenix Games. It also gives us a couple more addresses: one in the Netherlands, which actually looks like an industrial area; and a different serviced apartment block in Bangkok. That same Netherlands address is also on phoenixgamesgroup.com from 2003. That also gives various sales contact phone numbers, in area codes spread across England: Newmarket, Kettering and Chelmsford – the latter for that man Paul Share. Which is consistent with a residential address in Chelmsford given for the company on one press website. What’s clear, then, is that Phoenix Games were all about minimising cost, and probably didn’t bother having a proper office in the UK. But the company must have been based somewhere. It traded as Phoenix Games Ltd in the UK, and there is indeed a record under that name on Companies House. That gives an address in Birmingham, which looks like it might be a unit above a shop. It’s hard to be sure that Phoenix Games Ltd is the right company, though it is overdue making a return, so it seems plausible. Incidentally, Phoenix Games Limited definitely isn’t the right company – that was a shop in Leicester. 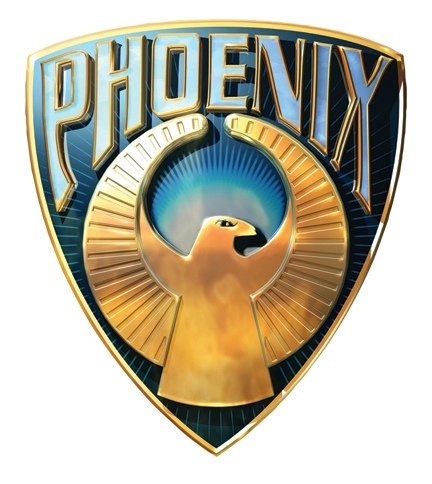 The parent company – Phoenix Games (Holland) B.V. – is easier to identify. The Dutch equivalent of Companies House confirms that the company is indeed bankrupt, and gives two addresses: legal, which looks like Randstad; and headquarters, which is in another industrial area. So: a couple of business addresses in the Netherlands; a couple of residential addresses in the UK; and a couple of apartment blocks in Thailand. Where did they come up with the idea for White Van Racer? We may never know. RIP Phoenix Games, you intriguing thing you. But where did their inspiration for Winky The Little Bear come from? I’ve been trying to track ’em down myself. Paul Share is listed on the cached version of their website as the CEO/President of their US/Asia branch, so it’s entirely possible that he actually did live in Thailand.